Wo have already Pre-ordered fallout 4? This is looking pretty damn cool. And after the FO4 presentation, I cannot wait. If the UI is customizable, I hope to have the option to hide it (or certain elements). I'd like to have an immersive experience. As for ideas, implementing Bottlecaps to work as currency? The ability to craft mods and mod guns would add so much depth. This could be blown up into an awesome Fallout experience if a Map is worked on. I can imagine it, but I suppose a working V.A.T.S. would be insane to ask. Dvnt, do you have an expected date for the release of Project Wasteland? I really am looking forward for this mod, huge fan of Fallout 3 and everything you have done and or going to do in this mod has been excellent and great work! I remember we had someone working on stuff like this for a Fallout RP server back in the day. Is there a mailing list? I'd like to be able to get updates down the line. I hope you didnt forget about this, im a big fallout fan and would love to see a download link soon! last post was about a year ago?!?! Did you even read anything? Its not out. and if your asking how to install mods in general look it up. i have a good question will it work with other mod things like say mekanism can u select the wepons from it or does it only let u equip things like iron swords? 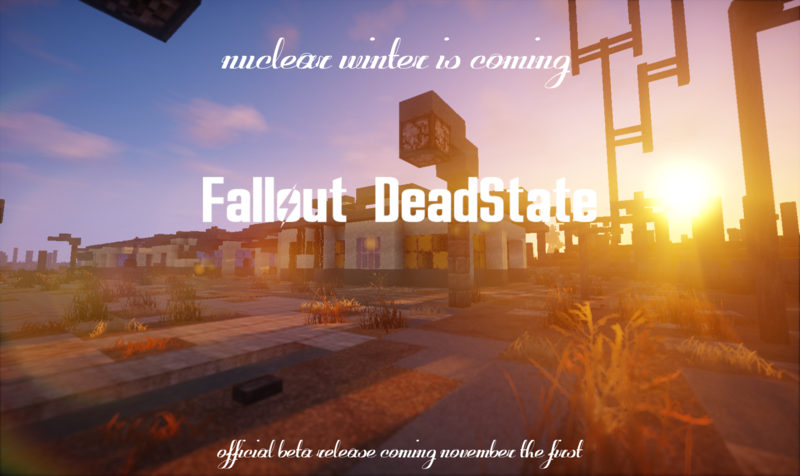 im looking forward to this mod comign out especially with the new fallout 4 having so much in common with mincecraft this will rock! That consider spam CRLUND, and you can be blocked from this, so I won't if I were you! will i be able to have the mineout texture pack on? and is it used trough forge or nonforged based? I have an idea stemming from fallout 3:Slavers. Always thought it was random they didn't try to enslave the player on sight, which, in something like this, could be expanded upon. What the hell does this have to do with the mod? Very likely to be dead unless the creators have been working in secret. Like most big mods, this one bit off more than it could chew and likely overwhelmed them. I don't think it's dead purely on the basis that Dvnt was active on the forums 3 days ago, now unless their account was hacked then it's going to be them. Perhaps we just need to be slightly more patient and see what they have to say. This is amazing, I am completely stunned at what you've managed to do! I can't wait until this is out, I do ask if at all possible, if it could be compatible with custom npcs and flans would be perfect for a small little roleplay with friends I will be monitoring this VERY closely. Are you by any chance going to add deathclaws and various other creatures?